Pallikaranai is one of the emerging residential areas in the town, which is located in the southern part of the metropolitan city. With the existence of IT industry in OMR, automobile hub on GST road and Chennai’s business districts have attracted more residents to Pallikaranai after the year 2000. Since then the area has witnessed remarkable residential and commercial developments over the past few years. As the requirement of home is high in the locality, the real estate builders have been constructing a wide range of new residential projects in Pallikaranai. According to a 2012 report of Knight Frank (global property consultant), Pallikaranai has emerged as the 11th largest residential destination in India for investment in the residential real estate, in the list of 13 top destinations in India for a residential investment point of view and report are also revealing that the price of the residential houses in Pallikaranai is expected to raise by 93% between the period 2012-2017. From July 2011, Pallikaranai came under the Chennai Corporation limits. Why the Demand is Constant for Flats and Individual House for Sale in Pallikaranai? As Pallikaranai is located strategically, the area offers excellent connectivity to the IT corridors of Chennai that has been hub for many IT bigwigs like Wipro, HCL, TCS, Infosys, etc. Further, the area has easy access to the state highway that connects the southern parts of Tamil Nadu. Further, the capital appreciation of the residential properties in Pallikaranai is climbing up over the past few years owing to the demand of houses in the locality. Another major reason why the home seekers prefer buying individual houses or residential apartments in Pallikaranai is the transportation facilities that it provides. The nearest bus stand in Pallikarani is the Vijayanagar Bus Terminus from where commuters can easily reach the major places of the Chennai City. Besides, the Chennai International Airport is located just 13.5 kms away from Pallikaranai. Further, the area offers multiple route options to reach the Chennai Airport. Apart from transportation, the infrastructure developments in Pallikaranai have been remarkable in terms roads, sewage system and more. The rental demand of a residential property is high, as the locality is surrounded by the major IT companies. As a result, the home buyers and property investors prefer the apartments or residential flats for sale in Pallikaranai to get gain more profit by renting their residential properties. Apart from it, the price ranges of the new residential projects in Pallikaranai attracts both the mid-income groups and people who are looking for modern living. Right from luxury apartments to budget homes, the home seekers can find their desired homes, according to their desires and budget constraints. 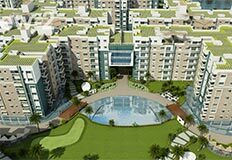 Thus, these advantageous factors have certainly raised the demand of the residential apartments and individual house for sale in Pallikaranai. Therefore, buying individual houses or apartments in Pallikaranai is the best choice for property investments. 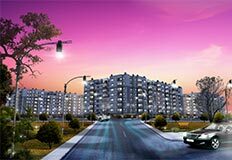 If you are looking for individual house or apartments for sale in Pallikaranai, you can find an enormous range of new residential projects in Pallikaranai. The range of residential flats for sale in Pallikaranai includes gated community apartments, 1bhk, 2bhk, 3bhk, studio apartments, duplex apartments and more. The types of independent house for sale in Palliaranai are row houses, villas, etc. What are the Advantages of Buying Individual Houses or Apartments in Pallikaranai? Buying individual house or flats in Pallikaranai will make the home buyers to get better return on investment for their residential properties in the future. The apartment or independent house for sale in Pallikaranai offers multiple choices for the home seekers in terms of price, size and facilities that it offers to the residents. An independent house or residential apartments in Pallikaranai provides excellent connectivity to the IT corridors and the most important places of the city. The individual houses and residential flats in Pallikaranai are surrounded by all the essential facilities like schools, colleges, hospitals, shopping malls and more. The price range of an individual house or apartments for sale in Pallikaranai is reasonable when compared to the residential properties located in the prime location of the metropolis. Rental value for the independent houses and residential flats for sale in Pallikaranai is high, as the area has close proximity to the major IT companies. How will be the Future demand of flats & Independent House for Sale in Pallikaranai? 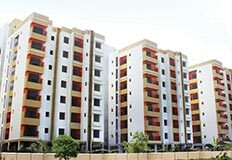 With the proposed commercial and infrastructure developments in Pallikaranai, the demand of independent houses and residential apartments in the locality will increase further in the following years, say the real estate experts. Besides, the major information technology companies have planned to have more facilities in the IT corridors of the city, which will certainly increase the demand of the houses and apartments in Pallikaranai.